A look at Serena Williams' second serve during the first four rounds at Wimbledon 2015. Even the World No. 1 in women's tennis can be judged by the old tennis adage, "You're only as good as your second serve," which refers to how well you play the points that are considered neutral or even to start off. As Serena continues on her quest for the "Serena Slam" with a title at Wimbledon, the stats show that her second serve has dictated her play. 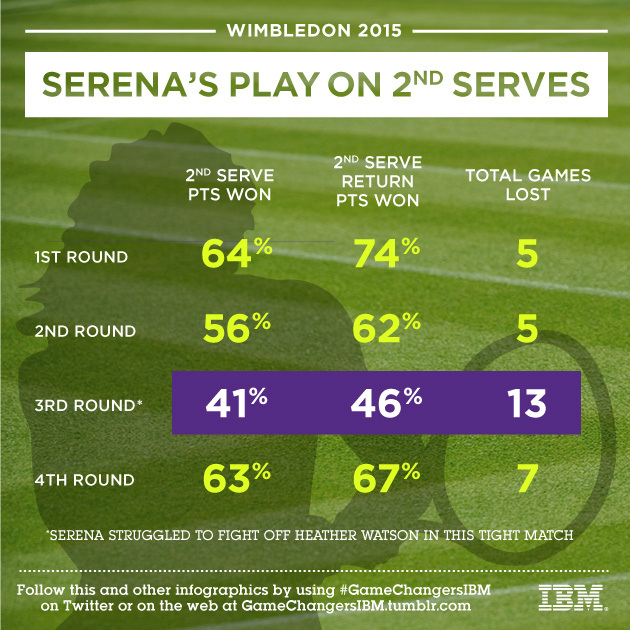 Take a look at Serena's performance on her second serve through the first four rounds at the All England Club in 2015.